The Kendo UI Scatter Chart widget shows data as points defined by the values of their items. Scatter Charts are useful for displaying the relation between different sets of data, such as scientific experimental results, and plotting two-dimensional data. Each data point is an array that contains two values—X and Y. 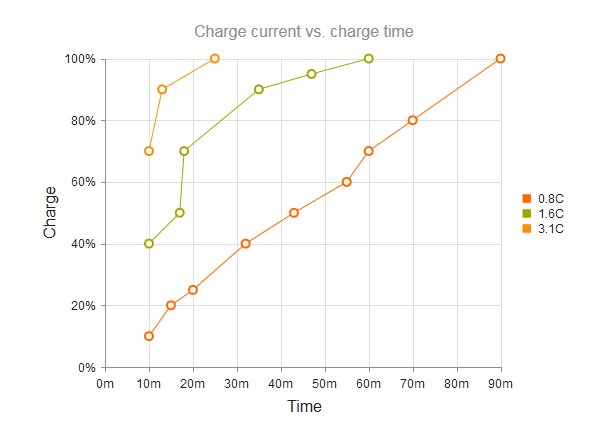 The example below demonstrates how to create a Scatter Line Chart. 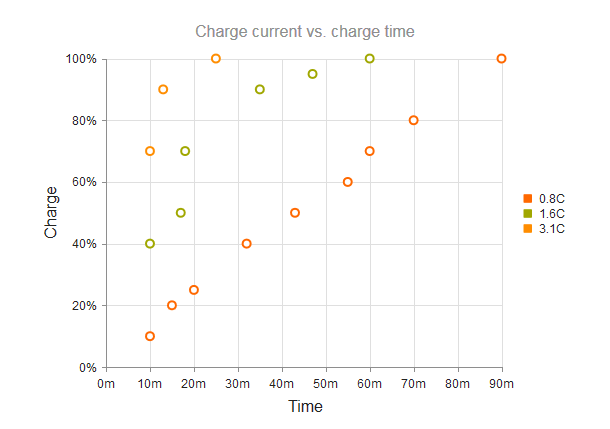 text: "Charge current vs. charge time"
Figure 1: A sample Scatter Line Chart. To remove the connecting lines, specify "scatter" instead of "scatterLine", which results in the Scatter Chart below.